Maybe it's about time ET phoned us? With at least 1023 planets in the observable universe, there has got to be at least one with intelligent life in it…right? But by the looks of it, we aren’t even close to finding one. Some astronomers believe that we aren’t alone in this universe, that since there are billions of planets out there similar to our little blue world capable of maintaining life, at least some of them should. Still, it’s just wishful thinking, because humans are still in the dark about how the origin of life even came about. Biologist Christian de Duve thinks that life is a “cosmic imperative.” But unless we figure out how specific chemicals came together to form life, we can’t even begin to hope to determine the probability that life has also begun in another world. There’s also the theory that life is not a product of random chemicals coming together but of self-organization, that nature itself will find a way to form life. This may seem like a solid theory as well, if we could ever find evidence supporting it. 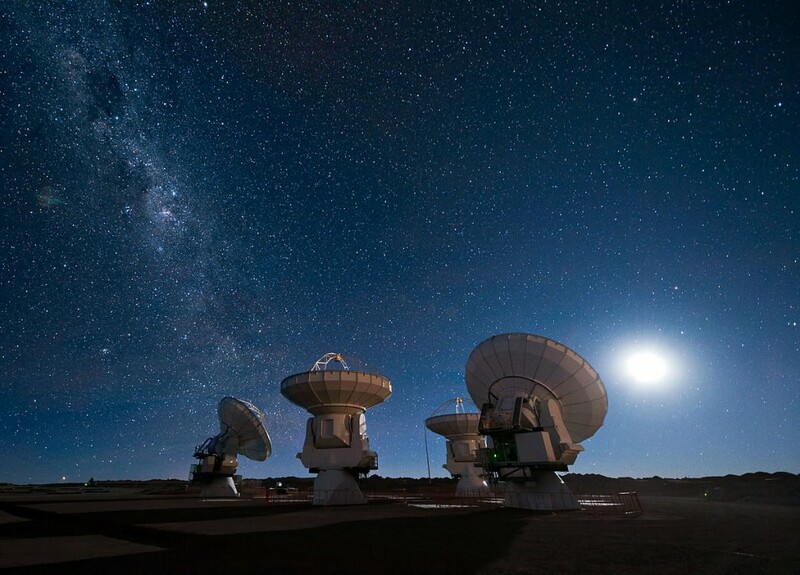 Organizations dedicated to the search for extraterrestrial intelligence (SETI) have their hands full with the recent discovery of extrasolar planets. Perhaps they will find clues from these new planets, perhaps not. Of course we’re not speaking in absolute terms and realize that any attempts made to discover life elsewhere can help to discover how it formed here. Even looking at why it didn’t form on other Earth-like planets can lead to new ways of thinking about why Earth was so well situated.